LaDontae Henton scored over 2,000 points and hauled down more than 1,000 rebounds as a college player. THE Alaska Aces have finally found an import who should jive well with their gungho forwards Calvin Abueva and Vic Manuel when the coming PBA Governors’ Cup kicks off on July 15. 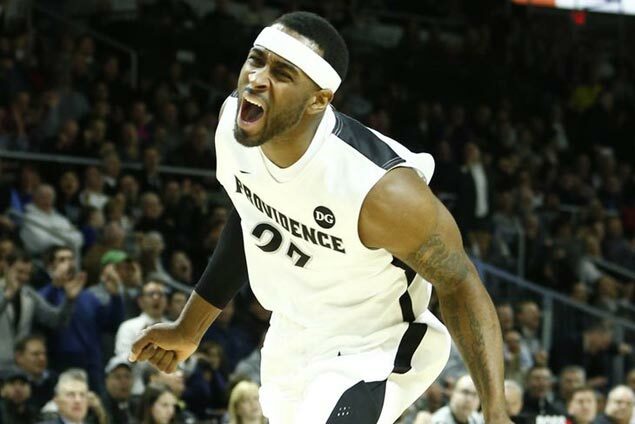 The Aces have tabbed LaDontae Henton, a known banger in his college years at Providence Friars, as their reinforcement for the season-ending conference. Henton was one of just two Friars to record more than 2,000 points and 1,000 rebounds in the US NCAA Division I tournament, after former Boston Celtics forward Ryan Gomes did the feat in 2005. During his college years from 2011 to 2015, Henton averaged 19.7 points and 7.8 rebounds per game. He was also named to the All Big East first team last year. Henton went undrafted in the 2015 NBA draft, which forced him to strut his wares with the Baloncesto Sevilla team in the Spanish League, where he tallied 5.5 points and 2.1 rebounds per game. Henton is expected to arrive in the country on June 20, the same day the Aces will begin preparations for the coming season-ending tourney. With Alaska now securing an import, only newcomer Phoenix Petroleum remains without an import, as their negotiations with Deandre Liggins is still ongoing.